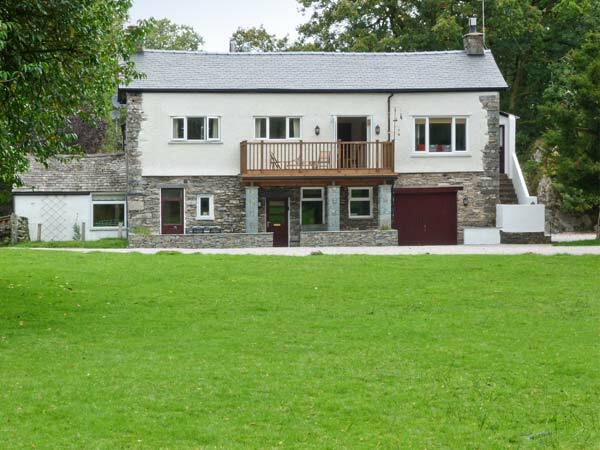 Lingmell is a delightful, end-terrace cottage, set in six acres of shared grounds, close to Coniston Water in the Lake District National Park. Set across two floors, with three bedrooms: one ground floor double with en-suite shower room, plus one family bedroom with one double and single bed and one adult bunks bedroom, this cottage can sleep seven people. The cottage also includes a first floor bathroom, a first floor open plan living area with kitchen, dining area and sitting area with open fire, whilst on the ground floor is a second kitchen plus a small snug room. 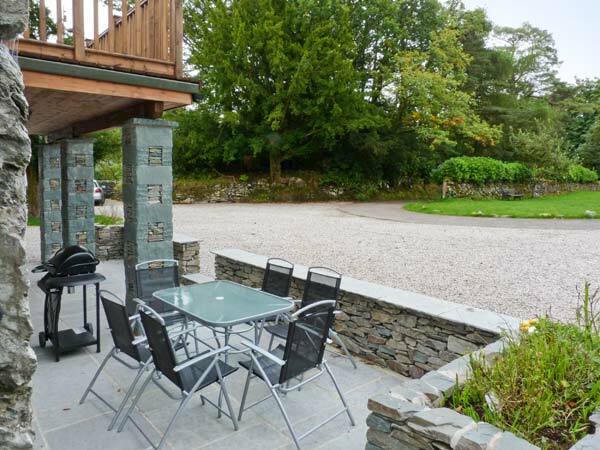 Outside is off road parking, a garden with furniture and gas BBQ, shared use of 6 acres of grounds plus use of the owners' Canadian canoe and four kayaks and direct access onto Coniston Water. Lingmell sits in the heart of the lake District National Park, and provides a perfect base for friends and families wishing to explore this beautiful region. Three bedrooms: 1 x ground floor double with en-suite shower, basin and WC, 1 x family room with 1 double and 1 single, 1 x adult bunks. Bathroom with bath, shower over, basin and WC. First floor open plan living area with kitchen, dining area and sitting area with open fire. Ground floor kitchen. Ground floor snug. Electric digital radiators with open fire. Electric oven and hob, microwave, fridge/freezer, dishwasher, washer/dryer, TV with Freeview, DVD. Fuel, power and logs for fire inc. in rent. Bed linen and towels inc. in rent. Off road parking for 3 cars. Lockable bike storage. Balcony with furniture, plus private patio with furniture and BBQ and access to six acres of shared grounds. Four well-behaved dogs welcome. Sorry, no smoking. Shop 5 miles, pub 2 miles. Please note: Wifi is intermittent and unreliable.